Here is English grammar objective notes for 2nd year. These notes are exercises for sentence correction practice. You can download in PDF and do English Grammar sentence correction exercise your self. F.Sc and F.A part 2 students can learn English Sentence correction from it. Second year students can now enjoy pdf grammar notes for fair usage. I have written these correction exercises and practice notes for F.Sc and F.A part 2 students. 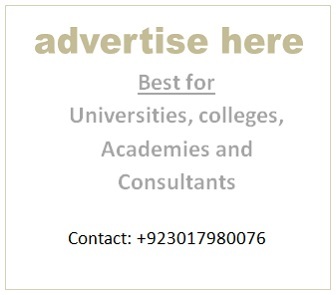 Now have a free time to solve all objective papers of English for Inter Part II. 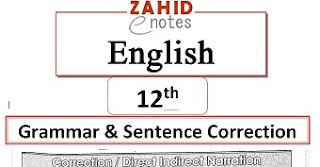 Zahid notes are offering all type of English and other subjects notes for 2nd year students. Guess papers for 2nd year are of great importance for the students. You can find PDF notes of all subjects of 2nd year, 1st year, 9th class and 10th class. I am preparing more notes of English grammar for the Inter Part II students. Previously, When I had written important English Essays for the 2nd year student, there was such a nice positive response from their side. Now I have completed All English Notes for F.Sc & F.A Part 2. These notes with A lot of practice exercise and all past papers objective questions have been put in these notes. Now you can will see that these sentence correction objective may appear in next final exams. I recommend to learn these notes and do extensive practice and you can get full marks in the objective part of English. Below is the link to PDF notes for English grammar and sentence correction for second year students.